Two homes made of multiple structures prove that sometimes more is just right. 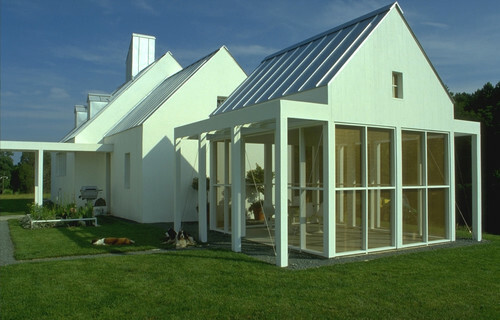 While most people want to build a home under one roof, there are times when constructing a series of connected or freestanding pavilions is desirable. Maybe the home serves multiple generations or must accommodate an ever-changing mix of family members. Or maybe the home grows over time, so that an expansion is a new pavilion rather than just an addition. 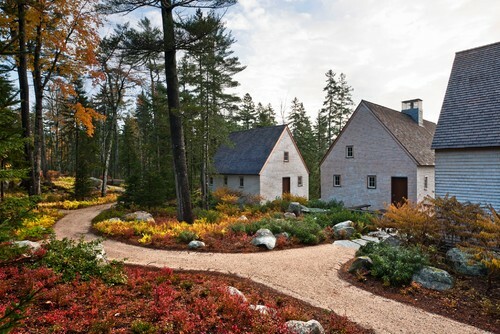 Here are two homes that have been created to resemble small villages rather than monolithic structures. 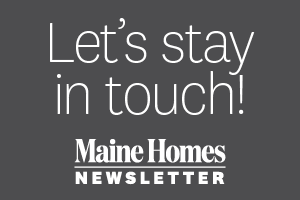 While both have their roots set deeply in their respective locales — coastal Maine and Piedmont, Virginia — each takes a decidedly modern approach to family living, resulting in a skillful blend of traditional and contemporary design elements. 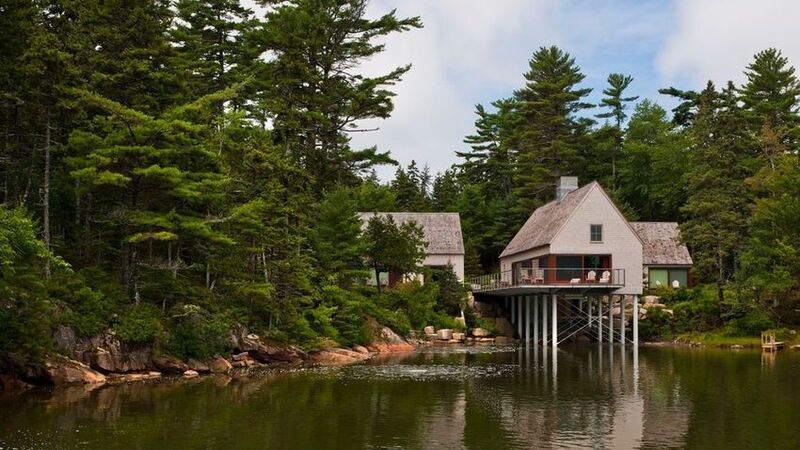 The Maine home resembles, on approach, a small fishing village. 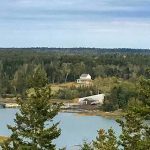 From the water side (above), you half expect to see locals pull up in a boat to wander around, procuring a fresh lobster in the process. 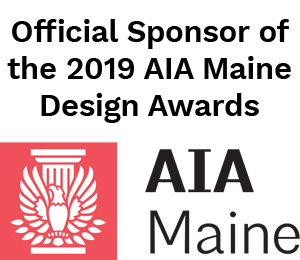 On the exterior, the freestanding structures show off their Maine heritage with traditional gable roofs, wood-shake siding and roofing, smallish windows on the road side, and soft grays and browns that are, in spirit if not in fact, the result of the natural weathering that occurs on the ocean. There is an urbanity to the building arrangement, similar to what one might find in a small Maine town. A consistent materials and color palette, as well as a consistency in detail and form, ensure that the “village” reads as one. The interiors are where the expression of modernity takes hold. 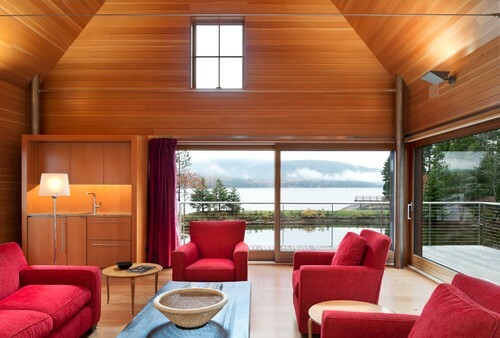 Each structure features an open floor plan, tall ceilings, and large expanses of glass that frame water views. 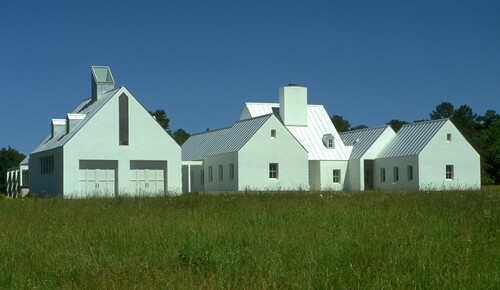 In the case of the rural Virginia home, the design was inspired by local farming estates. The arrangement is a tightly knit grouping of pavilions that look like they could have been built over time. The main building mass is unmistakable, with its large chimney and dominant central position, and the other structures are organized in a hierarchy around it. 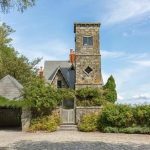 While the arrangement and structural forms are, like the home’s Maine cousin, steeped in tradition, there’s no mistaking that this house belongs to our century. The materials, crisp detailing, and overall simplicity are thoroughly modern. 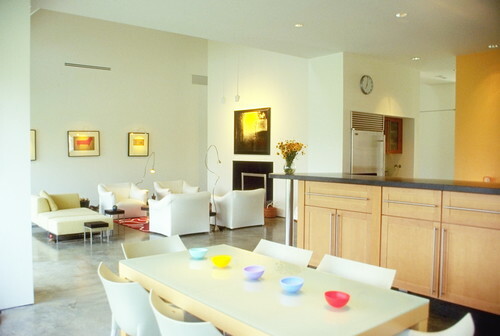 And that modernity runs through the interior, where an open plan enables a casual, 21st-century lifestyle. 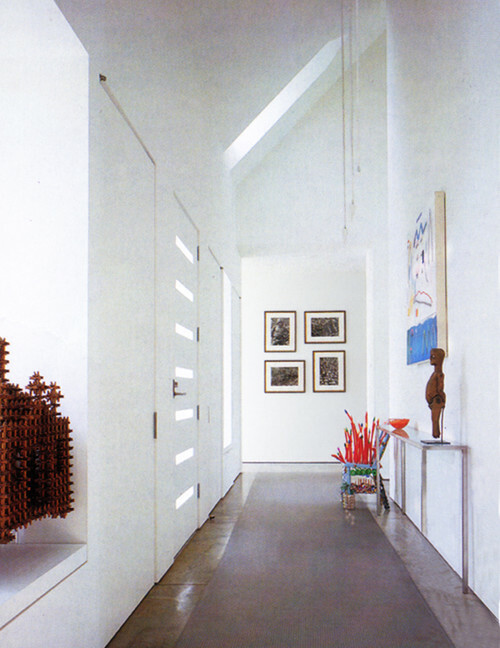 Light-filled volumes of space replace traditional low ceilings, creating airiness inside the home.